RippleNet counts more than 200 partners - New office in DubaisteemCreated with Sketch. Ripple are as usual in the headlines and this time officially with 200 partners and planning to open a new office in Dubai before 2019. Ripple is the center of a public database or accounting book that uses a consensus process. This process allows for payment, transfer and exchange of currency. Ripple is becoming increasingly recognized, and has increasingly become more widely used by major financial institutions. Some bankers have even stated that the Ripple system has more benefits than for example. bitcoin, because of their price and security. Despite a continued bear market and stagnating prices, the crypto market and blockchain technology continues to develop rapidly. Ripple revealed at the Global Islamic Economic Summit 2018 conference that the collaborations are growing worldwide and soon a bank will use Ripple technologies in every country in the world. Dilip Rao, Director of Infrastructure Innovation at Ripple, said at the conference, nearly 200 banks and financial institutions worldwide have joined RippleNet, leveraging and piloting the company's software solutions. 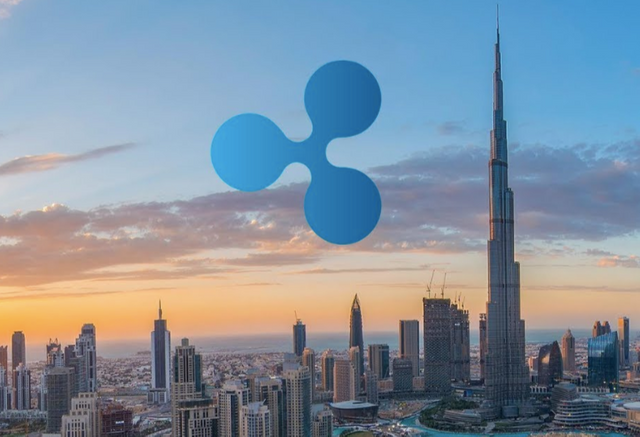 Ripple will open an office in Dubai at the end of 2018 to increase local presence and provide direct support to all attendees. He sees the potential applications of Ripple's Blockchain technology, especially in areas where the use of traditional payment platforms like Swift would reach its limits. @tradewonk, If every bank will use the Ripple Technology then in my opinion it's just not an boost for the Ripple inturn it will going to boost whole Crypto Sphere because more Institutions can adopt Cryptocurrencies. Wow XRP has a bright future! 20k XRP will be WIFE-changing. @tradewonk, Hello, I want to buy this coins. So, I need a small help to you? Please tell me your opinion about it. It is profitable or harmful. Please help me. Thank you. Thanks for your information, I will buy ripple immediately. Your UA account score is currently 4.597 which ranks you at #1702 across all Steem accounts. Your rank has dropped 16 places in the last three days (old rank 1686). In our last Algorithmic Curation Round, consisting of 278 contributions, your post is ranked at #61.